“From the offices I’m leasing on NW Third and Glisan, a polka-dotted Datsun’s broken-down.” The “offices” are bar stools at a bygone Old Town tavern. The Datsun is youth, recklessness, lust for life–traits that make an idealized, overly romantic version of love so desirable, and also attributes that, sans brakes, make deep connection so frustratingly unattainable. Such is a typical quip from the diverse, uproarious full-length debut album by Portland’s Big Duck. The couplet continues: “This one was my own mistake, can’t blame it on no twist of fate, I look out at that clown truck and I frown.” The 10-song collection draws comfortably from post-punk, blue-eyed soul, chicken-pickin’ country and anthemic rock, and exhibits a skilled but shambolic sound honed via 8 years of high-energy live shows. 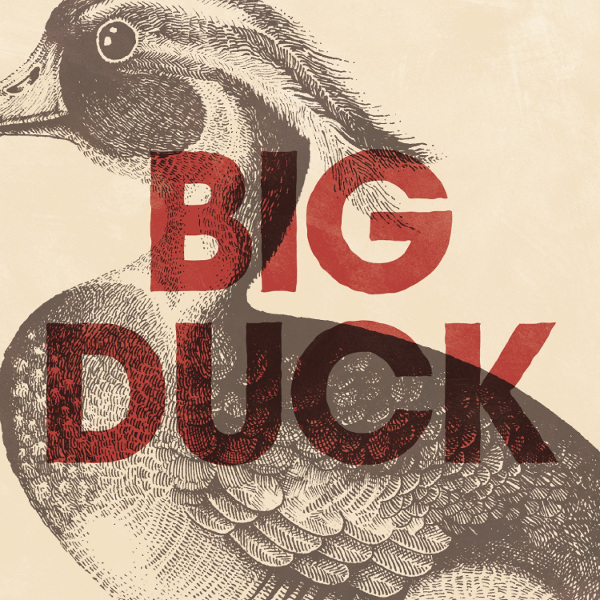 Featuring Dylan Esmonde, Robbie Aldworth, Chris Fanshier and Jay Boss Rubin, Big Duck is a bonafide original, homegrown in Rose City.